The right to safe and clean drinking water is a fundamental human right. Acknowledging the World Water Day 2019 (March 22) theme “Leave no one behind”, the UN reiterates that “Water is an essential building block of life. It is more than just essential to quench thirst or protect health; water is vital for creating jobs and supporting economic, social, and human development”. To mark World Water Day 2019, we are highlighting the story of the winning Australia Awards alumni team from the Regional Alumni Workshop 2018. In the last month, the winning team have successfully lobbied for legal reforms in Bangladesh, securing a court verdict to stop illegal stone extraction which was polluting local water sources in Bandarban. In addition to addressing the challenge local indigenous peoples had been facing in accessing clean drinking water, their actions will also help prevent further environmental hazards. Bangladeshi alumni Pallab Chakma, Janet Naco, Shohel Chandra Hajang and Lelung Khumi, as champions for environment and climate action, initiated the project on ‘Community empowerment and action against illegal stone extraction to preserve the natural environment in Bangladesh’ through an Australia Awards alumni grant. 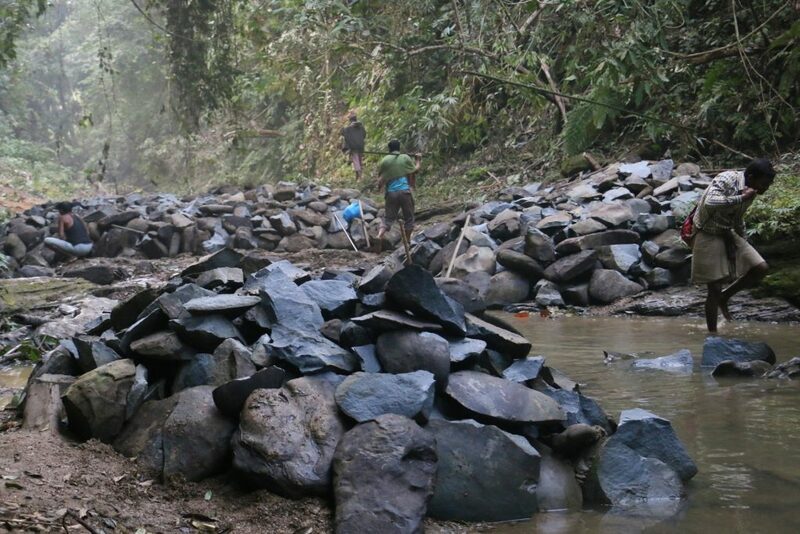 Nearly 10 months since the project initiation, their efforts have shown results and now the Bangladeshi High Court has directed the concerned authorities to immediately stop extraction of stone from Sangu and Matamuhri rivers in Bandarban. The project aimed to find solutions to the environmental threats and health hazards faced by the indigenous people of Bandarban due to illegal stone extraction and water pollution from natural water bodies. The team pointed out that this problem has prevailed in the area for nearly a decade and there was a strong need to address the issue. To support this movement against stone extraction practices, the team identified the need for strong community mobilisation and advocated with local government agencies and civil society platforms to find a legal solution to the problem. They have facilitated community dialogue, developed and promoted an awareness-raising video, nurtured ‘environment defenders’, and developed a lawyer’s platform to strengthen and amplify a collective voice among people. The team acknowledge that this outcome would not have been possible without the efforts of social organisations also involved in the lobbying, supporting their cause. Commenting on achieving one of the main objectives of their project, the team members said ‘This is a significant achievement so far of our collective efforts. We are delighted on this outcome. We thank each and every organisation and individuals who supported and helped us to work with the community to address the illegal stone extraction issue in the hills. We also thank the honourable High Court for issuing this important directive’. 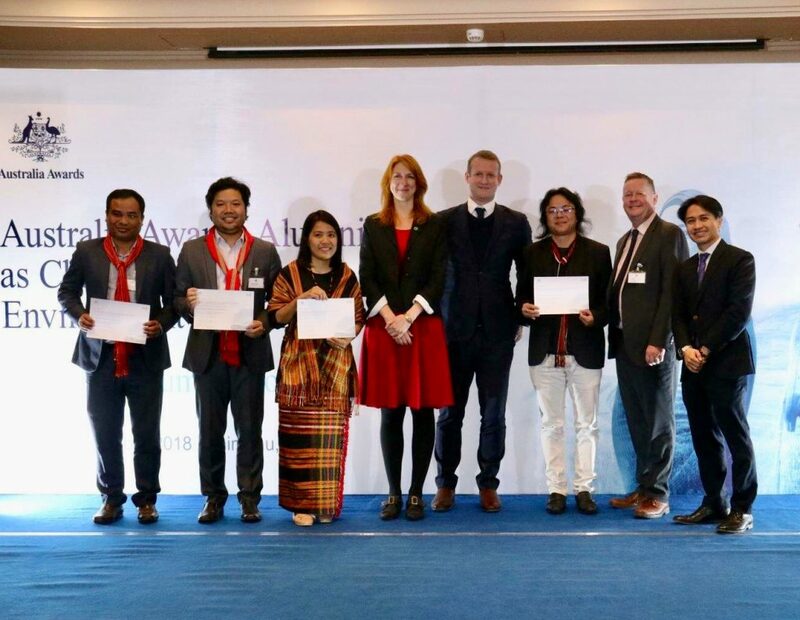 Rod Hilton, Australian Deputy High Commissioner to India and Bhutan (4th from right), Andrew Brown, Chief Operations Officer, Scope Global (second from right), Ailsa Lamont, Pomegranate Global (4th from left), Rod Sollesta, Australia Awards (right), with the winning team at the Regional Alumni Workshop 2018. The Australia Awards alumni were funded in the lead up to the Regional Alumni Workshop 2018 and they also received a second grant as part of their win. This additional funding helped expand their project on environmental protection and climate action. ‘We don’t consider our work about the environment as a standalone project, we think beyond. We will keep our fighting spirit alive to save Mother Earth’. says Pallab Chakma. ‘We believe that, if we stand together and fight together, we could bring positive change to our society’ adds Chakma. Janet Vanpar Naco says she sees the project as a great example of how the power of collective actions and community voices can make a significant positive difference in the lives of indigenous peoples and the natural environment. Among the project outcomes the team have ensured the people in the community are well informed about the issue and impact and are engaged with local government; they took steps to initiate legal action with the community, starting with a writ petition. The team extended their collaboration to the Kapaeeng Foundation, an indigenous organisation working for the promotion and protection of the rights of indigenous peoples in Bangladesh to file the writ petition. 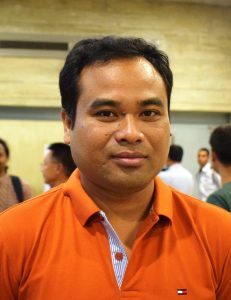 Australia Awards alumnus Pallab Chakma is an indigenous rights activist from Chittagong Hill Tracts (CHT), Bangladesh. Currently, he is working as Executive Director of Kapaeeng Foundation, a leading indigenous peoples’ organisation of Bangladesh that works for the promotion and protection of the rights of indigenous peoples. He is also associated with Bangladesh Indigenous Peoples’ Forum where he holds the position of Assistant General Secretary in the National Committee. He completed his Bachelor of Social Science (Honours) and Master of Social Science degree in International Relations from Dhaka University. Later, through what is now known as an Australia Awards Scholarship, he completed a Master of Mediation and Conflict Resolution from the University of South Australia. Over the years, Pallab developed his expertise in community development, human rights of indigenous peoples, campaign and advocacy, indigenous women’s rights, environment protection and climate change and so on. He is engaged with different UN mechanisms and processes related to indigenous peoples, including United Nations Permanent Forum on Indigenous Issues (UNPFII), UN Expert Mechanism on the Rights of Indigenous Peoples (EMRIP), IFAD Indigenous Peoples’ Forum, Asia Pacific Forum on Sustainable Development (APFSD), and Asia Pacific Regional CSOs Engagement Mechanism (AP-RCEM). He is also one of the editors of the Annual Human Rights Report of Indigenous Peoples in Bangladesh, a regular report on indigenous peoples’ human rights situations. 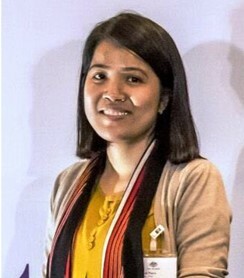 Australia Awards alumna Janet Naco is an Indigenous Woman from the Bawm community in Chittagong Hill Tracts. Janet is a humanitarian aid worker. Currently, she is working as a Women’s Protection and Empowerment Manager for International Rescue Committee (IRC) in Rohingya Emergency Response in Cox’s Bazar, Bangladesh. Before this role, she worked in several local and international development organisations in Bandarban Hill District, Bangladesh as a project implementer and also researcher in the area of advocacy for gender, indigenous women’s rights, education, and development issues. She holds a Master of Development Studies from East West University, Bangladesh and Bachelor of Arts in Anthropology, Sociology and International Relations from Curtin University in Western Australia. She received an Australia Awards Scholarship in 2009 to complete a Bachelor of Arts at Curtin University in Western Australia. Australia Awards alumnus Shohel Chandra Hajang belongs to Hajang indigenous community of plain land, Bangladesh. Currently he is working as Project Coordinator at Kapaeeng Foundation. He has experience working with the Bangladesh government and different international organisations, including ILO, and Action Aid. Shohel completed his Honours and Master of Social Welfare from Dhaka University. He completed a Master of Development Studies from James Cook University in Queensland, Australia, through an Australia Awards Scholarship. 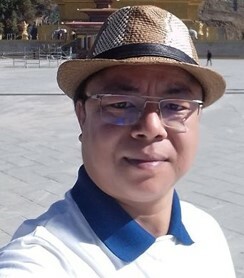 Other than his current involvement in Kapaeeng Foundation, he is the current Treasurer for Adivasi Australian Scholars’ Association of Bangladesh and is a lifetime member of the Australia Alumni Association Bangladesh. He has served twice as the Organising Secretary of Bangladesh Jatiya Hajong Sangathan, a community organisation. Shohel represents indigenous peoples in different UN Forums, including EMRIP and the UN Human Rights Council. Shohel also writes columns in national dailies regularly, highlighting different indigenous rights issues. 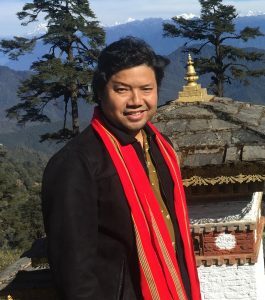 Australia Awards alumnus Lelung Khumi is a development worker by profession. He is currently working as the Learning Corps Program Coordinator at Helen Keller International in Bandarban Hill District, Bangladesh. He is from a marginalised indigenous community known as Khumi. He was brought up in a family of swidden cultivation (traditional form of agriculture which is also known as shifting cultivation) in Kholine Para under the Ruma sub-district of Bandarban Hill District, Bangladesh. Lelung completed his Bachelor of Social Science, majoring in Sociology from Southern Cross University in Lismore in New South Wales, Australia, through an Australia Awards Scholarship in 2010. Upon his return to Bangladesh, he worked as a Planning Officer for five years under a capacity development component of a joint venture program executed by Bandarban Hill District Council and UNDP-Chittagong Hill Tracts Development Facilities. His role mainly involved project planning, project implementation, policy development, coordination, facilitation, monitoring and evaluation, advocacy, reporting, and developing publications including newsletters and annual reports. He has participated in several well-acknowledged training programs on indigenous rights, human rights and good governance. In addition, Lelung received the opportunity to participate at the United Nations Permanent Forum on Indigenous Issues in New York in 2009. Lelung writes articles for local magazines and national newspapers both in English and Bengali about contemporary indigenous issues.